Pilates plank on a boat! Pilates attire can range from loose fitting exercise clothing, long pants, short pants, to well fitted clothing, to stretch jeans on a boat. 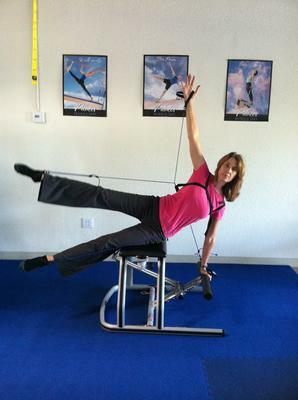 Whatever you can move well in will work for Pilates! 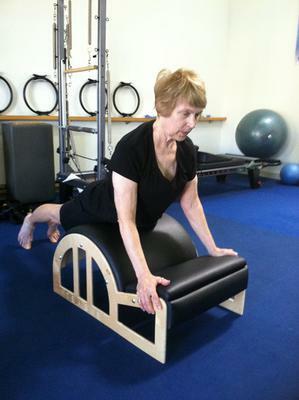 Great reformer exercise for core and shoulder strength and what control you are showing even with a zebra on your back! Check out some of the equipment workouts I have on youtube by going here to see the chair, reformer, and cadillac in action! What is the proper workout attire wear to a Pilates class? I would suggest form fitted clothing that is easy to move in. Bulky loose fitting clothing can get in the way and be a nuisance. Kim is wearing a form fitting shirt and her pants match the zebra on top. This looks cool and is not too bulky or restrictive.